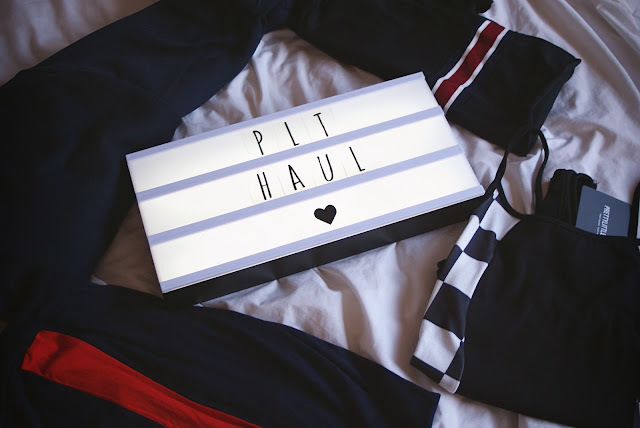 I recently made a little order on Pretty Little Thing, I only picked up four items however I thought I would share them with you as they are hella cute and I am loving plt at the moment. I have decided to have a bit of a style revamp and I really want to get more in to fashion and make a bit more effort when it comes to what I am wearing. I have recently downloaded an app called 21 Buttons and this is perfect if you are looking for some style inspo. You can find me on there at lifewithbee if you want to check it out. All the links to these items will be on my 21 Buttons but I will leave the on this post as well as a snap of how I would syle them. The first two things I picked up I thought would be best show you together as I bought them to wear them together as an outfit. I think this outfit is perfect for wearing when I am chilling around the house and maybe running a few errands. It is super comfortable so is great for those days where you just want to chill in your pj's but you have to go outside as it feels like pj's but it's acceptable to leave the house in. 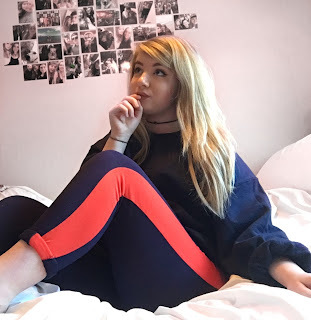 I love the orange stripe on the leggings and they are so soft. Also both Items are amazing quality and run pretty true to size although I sized up in the jumper as I wanted an over sized look. 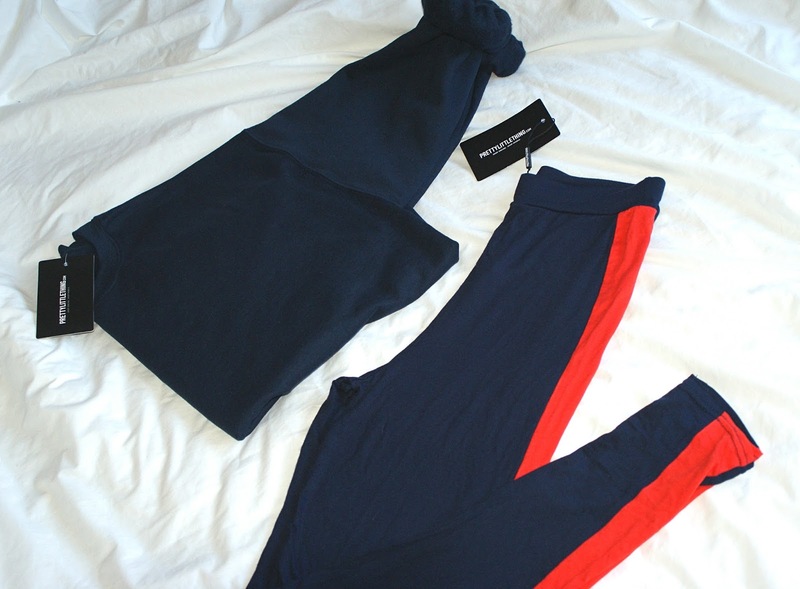 The Jumper was £15 and the leggings are £12. Here's the link to them and the snap of me trying them on. 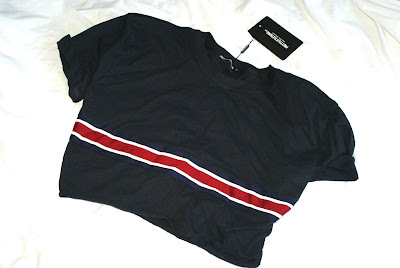 The next thing I picked up was this cropped T-shirt I love this and find that it is such a good basic item to have. Once again the quality is so good and I think its the perfect piece to throw on with a pair of jeans or leggings during the day or even pop it on with a skirt and some dressy makeup for a evening look. It was £12. 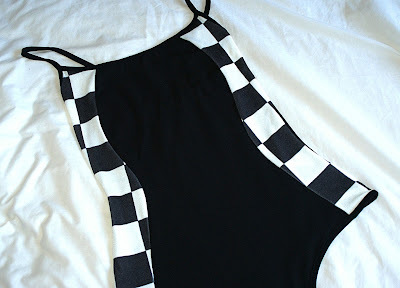 The final thing that I picked up was this checked bodysuit. I have been seeing this racing grid everywhere and I love it so when I saw this I just had to get it. Once again it the quality is great and the fit is perfect. I picked this up for £12. That's all I picked up from Pretty Little Thing, They have some amazing things at the moment so if your looking for some new stuff I would highly recommend you checking them out.